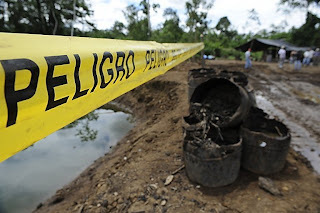 Although the case of Ecuador v. Chevron/Texaco, begun in 1993, has yet to come to a definitive close, the Lago Agrio court recently ordered the oil giant to pay $9.5 billion in what people are saying is a landmark ruling for international environmental issues. 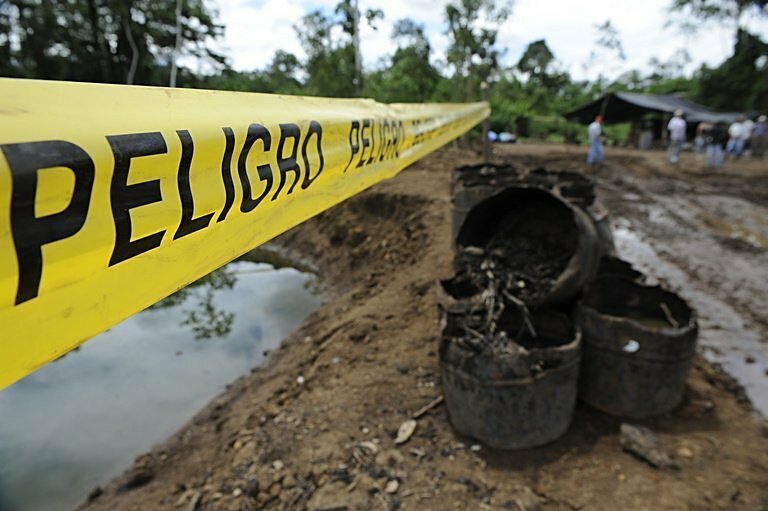 The case has been ongoing for 18 years, during which a sordid story came to light of Texaco's destructive and exploitative actions in the oil fields in the Amazon rain forest. Not only have the indigenous communities in the affected area suffered from some of the highest rates in the country of cancer, but also from high rates of child leukemia. Some 80% of the crops in the area were lost, and over 20% of the people were forcibly displaced. Many developed health conditions from land and water pollution, and cases of sexual violence from the corporation's workers were reported. The trial also exposed Texaco's creation of a fake lab in Ecuador to come up with favorable environmental reports. The psychological, physical, social, and environmental effects of Texaco's long occupation of the region have been so deleterious that the plaintiffs have decided to appeal the court's decision and demand the $27 billion they feel adequately compensates for Texaco's actions. Chevron, not surprisingly, is less than thrilled with the ruling, and has sought the interference of a New York judge who has blocked for 28 days any pay-out from the case, citing the importance of Chevron to the economy. Tangentially related: If it's still unclear how much power corporations are amassing both in the U.S. and abroad, check out this short video, "The Story of Citizens United v. FEC," which traces the history of the corporation and what it means that they have now been given the 1st Amendment right of Free Speech. Labels: activism, anthropology, corporate issues, globalization, green issues, health, indigenous issues, latin america, Natural World, news, politics, U.S.
That is messed up that a judge in New York has a say in what happens in the Amazon. Come on Chevron, pony up. Seems like a fair price to pay considering the damage that has been done.